Kind people that read this blog I have been trying to get into the habit of regular meditation for years. I’ve had some periods where I got a rhythm going but then there would be some change in my schedule and I would stop. 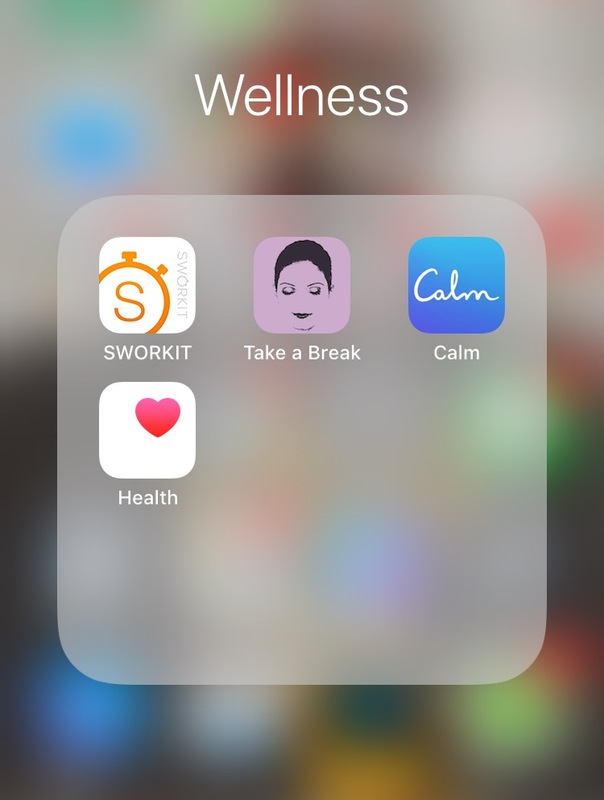 I’ve been trying to get into a meditation routine again recently and I’ve been using the Calm app pictured above to help me. I can tell from the app that I downloaded it sometime in 2016. I seem to be using either a free or early version of the app because there’s an in app message that notes there is a $59.99 yearly subscription free to unlock everything the app has to offer. I haven’t pulled the plug on that yet. If I can stick with a routine I’ll consider it. For now what I can access is more than enough for my needs. 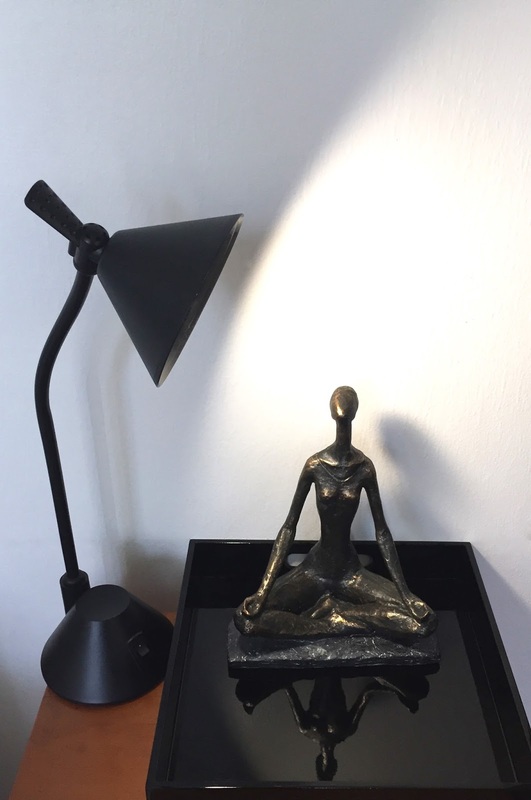 I’ve found that the best time of the day for me to meditate is early in the morning before I start my day. 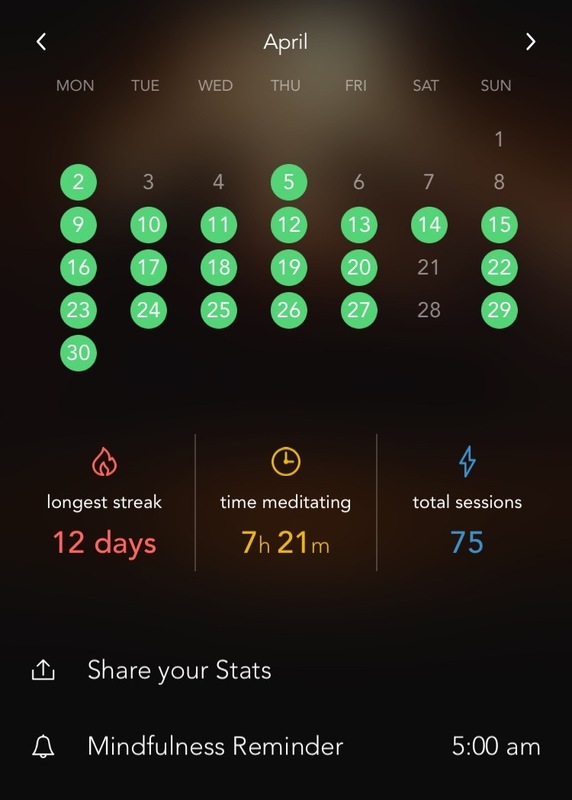 The app has a timed meditation section that ranges from 1 minute to 20 minutes. I use the 5 minute option because anything longer than that and my mind starts wondering. You can see from my stats that I did well in March and better in April. 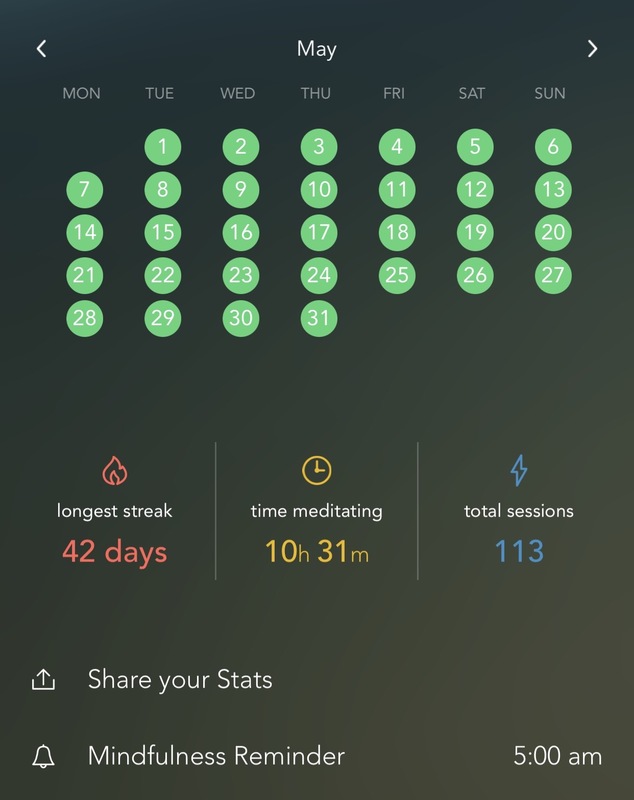 My goal for May was to meditate every day which I did. I set the same goal for June and I’ve been meditating daily even while on vacation. So now for the million dollar question. 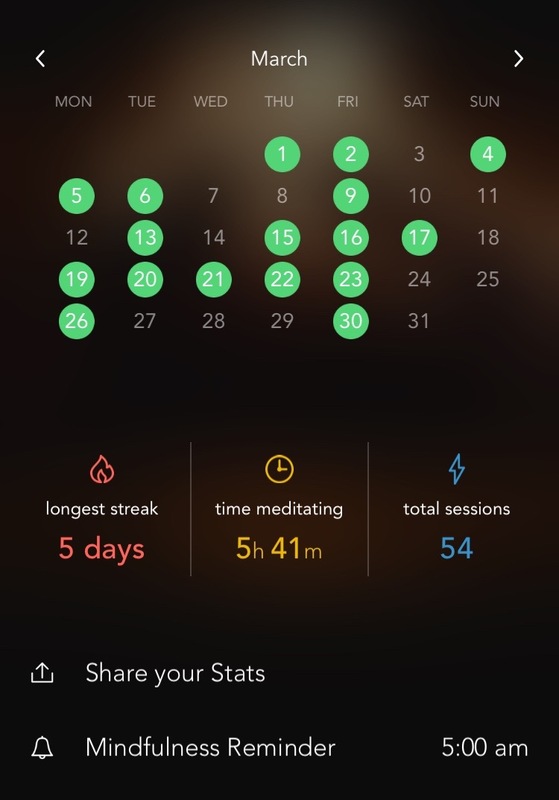 Has getting back on a regular meditation schedule helped me? Yes it has. I definitely feel more relaxed as I go about my day. I also find myself returning back to those quiet moments in the morning when things start to get hectic. Now let’s be clear my mind still races for some of the five minutes while I’m meditating. But I’ve found that the more I practice the less that happens. Hopefully I can eventually go a full five minutes without any stray thoughts and then bump up to 10 minutes of meditation daily. If you’ve tried meditation I’d love to hear what did or did not work for you. I downloaded a mediating app too!! Literally on the same wavelength or what ??!! But, I found myself not really committing to the times and eventually deleted it but, I still want to get into mediating. My phone has been acting up/dying on me lately so I'm in the business of praying & hoping it starts up again and woefully looking for a new phone 😭. So until then I have been trying to do a walking meditation where I am outside with my thoughts instead – though an app would be nice to download. Additionally, I have sought motivational videos which really propelled me to make some important and much needed changes. Plus, gave me a fresh outlook on thoughts, goals, actions, purpose and emotions. I think you've done excellently!😎Are there other things you do to quiet your mind and what kind of creative outlet do you use for your thoughts/emotions/goals etc.? It's like we are twin souls 🙂 The Calm app is great. It was voted one of the best apps on I tunes. I'm still using all of the free perks but I think I will update before the year is out. A walking meditation sounds great. I want to try that. 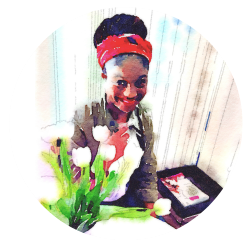 You've been killing it with your blog so what you are doing is working! I've also been trying to get back into a regular yoga practice. I haven't been as consistent at that as I would like but I can feel a big difference when I make it to class. This blog really is my creative outlet. I find when I start to get bogged down with my day to day life I get the urge to do a blog post. Some might call that procrastination but not me ��.Thanks for sticking it out with me. I always love your comments! Hey Mango Fudge! I don’t know how I missed this. We are always on the same wavelength😊. Let’s start working on our book next year!